OCD, then, becomes an example of the disruption of the connection between action and strength of beliefs. And the degree of uncoupling correlates with the severity of symptoms. Washing isn’t one of mine; however, checking is. It’s time to go home, so I turn on the alarm, head-out the door, lock it, and get in my car. Within seconds I begin to wonder if I closed and locked the door. Now, I’m past the hassle of getting out of the car and checking; however, it’s still all over my mind and I’m known to circle back in the parking lot for another look on occasion. Let’s review the piece, along with a sidebar featuring a revolutionary development, computational psychiatry. I think you’ll find the information fascinating – and hopeful. The research team begins by summing-up their discovery. What they found was a novel dissociation between action and confidence in those enduring obsessive-compulsive disorder (OCD), with confidence accessing information that isn’t used to guide action. Incorporating the example “If I’m sure it’s going to rain, I’ll take an umbrella,” the team observes that action and confidence are typically thick as thieves. And that’s what makes the dissociation between the two so hard to understand. Okay, we need to define some psychobabble. Egodystonic: thoughts and behaviors in conflict with the needs and goals of the ego or with one’s ideal image of self. In simple terms, “I experience symptoms, I don’t like them, and I wish they’d go away.” The opposite, by the way, is egosyntonic – something is terribly wrong and the individual doesn’t have a clue there’s a problem. So the team recognizes the egodystonic nature of OCD. And they hypothesize that if someone enduring it views compulsive (re)actions as over-the-top, action and confidence ought to be independently updated during learning. With that in mind, the work of the research was completing a “predictive-inference” task designed to identify how action and confidence evolve in response to surprising changes in environment. Here’s the study outcome. Both the OCD and control participants correctly updated their confidence according to environmental changes. However, only the OCD participants largely disregarded the knowledge. That being the case, the team submits that those enduring OCD develop an accurate internal model of the environment, but, yeah, they don’t use it to guide their behaviors. And that means there’s a unique dissociation between action and confidence, two entities that usually buddy-up. I’m not thinking it would surprise you that much of the team’s discoveries were driven by anatomy. We’re not going to get into every possible landmark; however, let’s look at two mentioned in the study. 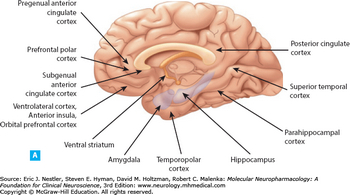 The striatum is one of the components of the basal ganglia, located deep within the brain. It’s a critical player in our motor and reward systems. Of particular interest to us is the ventral striatum (VS), which contains the nucleus accumbens – huge for its role in rewarding experiences. So we’re dealing with reward, reinforcement, and the progression from simply experiencing something rewarding to compulsively seeking it out as a portion of addiction. That said, the VS is activated when we do, or even anticipate doing, something we’re sure will be pleasurable. And then there’s the anterior cingulate cortex (ACC), also down deep in the brain. It’s a player in a wide variety of autonomic functions, as well as reward anticipation, decision-making, and impulse control. Seems like both could aid in generating all sorts of compulsive behavior, which in-turn forces obsessional behavior monitoring. And on the cycle goes. The team uses the word “computational” several times in their presentation – computational analysis, computational deficit, etc. According to MIT Technology Review, psychiatry is in the midst of a quiet revolution, the marching orders being issued by computational psychiatry. Sure seems like there’s a whole lot of guessing going-on. 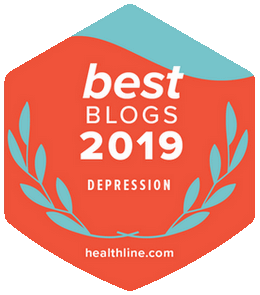 Computational psychiatry removes the guesswork by using powerful data analysis, machine learning, and artificial intelligence to gain insight into the emotional/mental disorders. With computational psychiatry, it’s possible to collect data from historical observations and connect it with mathematical theories of cognition. Yet more, it allows for the development of computer-based experiments that precisely manage environments so specific behaviors can be examined in detail. Computer games, virtual reality, crowdsourcing, and more are used. Do some digging on it. 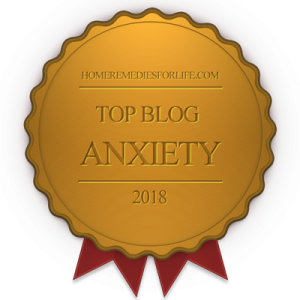 I remember all too well the decades ago onset of my anxiety and mood disorders. Dang, I was so lost in the woods. I also remember how much better I felt as I gained insight into why they were presenting, especially the anatomy and biochemistry of it all. Even though I didn’t know what to do about it, just knowing there was a legit cause provided so much comfort – and removed the bulk of the blame from my shoulders. If you’re dealing with OCD, the next time you’re moved to wash, clean, check, repeat, collect, etc., please consider the work we’ve just discussed. Yes, there really is a legit reason for why you do what you do. And coming to accept that is the first step of recovery. Hey, how ’bout some resources? Next Post: CANNABIDIOL: What Is It? Why Should a MOOD or ANXIETY DISORDER Sufferer Care?